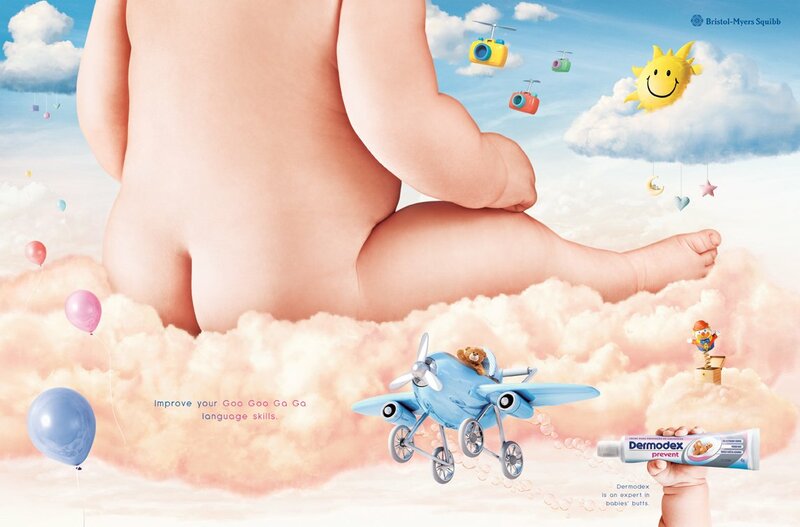 Clever print ads for Dermodex created by Lew'Lara/TBWA advertising agency from Sao Paolo, Brazil. "Help babies' butts to keep The Cutest Thing in the World title." "Dermodex is an expert in babies' butts."